MEDICINE: The study of disease and what causes a man to die. CHIROPRACTIC: The study of health and what causes a man to live. Chiropractic is most often associated with the treatment of back pain. The truth is that chiropractic is so much more than that. Chiropractic is about freeing up your nervous system to be able to optimally function and allow your body's innate ability to heal be the star of the show. At Schuyler Creek Chiropractic, we are highly dedicated to treating you as a whole person, not just your symptoms. Symptoms are simply a clue trying to tell you what is going on in your body. If ignored long enough or brushed aside with medications, the underlying cause often will continue to manifest itself in bigger more serious ways until you are willing to listen. Sometimes this is easy to do, other times it is not. As any parent would agree, it is often hardest when your children cannot tell you what is bothering them, so you must become a detective. 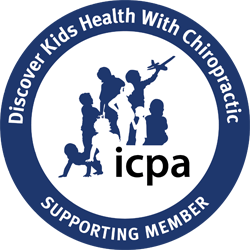 There are two fundamental principles associated with the chiropractic philosophy. The first is that the nervous system is the master system of the body. It is responsible for controlling everything that the body does, whether it is intentionally or unintentionally. The second is the body has within it an innate intelligence, that allows the body to be self-healing and self-regulating. Once you are able to accept these two principles, then you cannot argue that if there is interference between the nervous system and the body, then the body's ability to heal itself is compromised. It is these interferences that we call subluxations, and it is the job of a chiropractor to remove these subluxations. Most people are of the understanding that the term "wellness" means feeling well. If you feel well, then you must in fact be healthy, right? Well actually you would be wrong. Wellness is not even related to feeling well, it is actually how your body is able to adapt to the everyday stresses placed upon it. It is a delicate balance of your mind, body and spirit. If your body is able to adapt and handle all of these stresses, without any interference, then you are in fact healthy, YOU ARE WELL! Have some questions or just want to know more? Or maybe you are ready to give your body a chance to heal.